I found this whiteboard behind the check-in desk at a hotel. 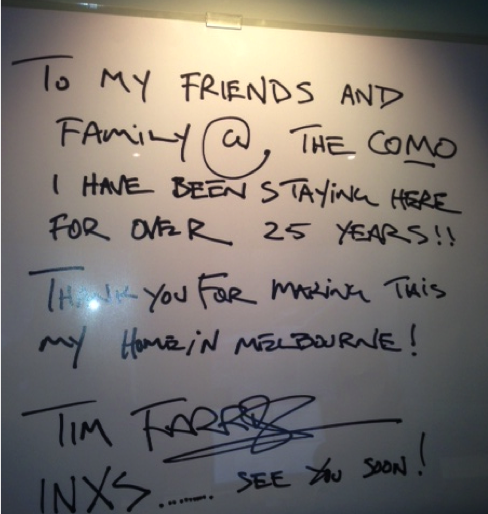 On the board was a hand-written note from a member of the INXS band. What a simple but powerful idea. American Express did something similar some years ago with their ‘member since’ portraits campaign. Ask yourself — who are our best customers and how can we showcase their patronage & loyalty?